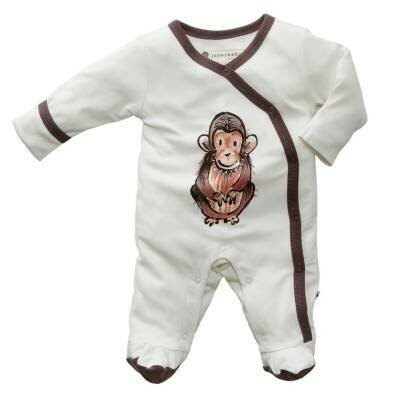 You'll love this footie sleeper from Janey Baby, a collaboration between Babysoy and the Jane Goodall Institute. Each sleeper features a whimsical drawing of an endangered species printed with water-based ink. This sleeper comes with four different baby animal images: chimp, wallaby, marmot, and rabbit, each with their own color trim. Kimono design snaps makes a stylish statement and makes it easy to change in and out of. The eco-friendly material is made from bamboo fiber and organic cotton. 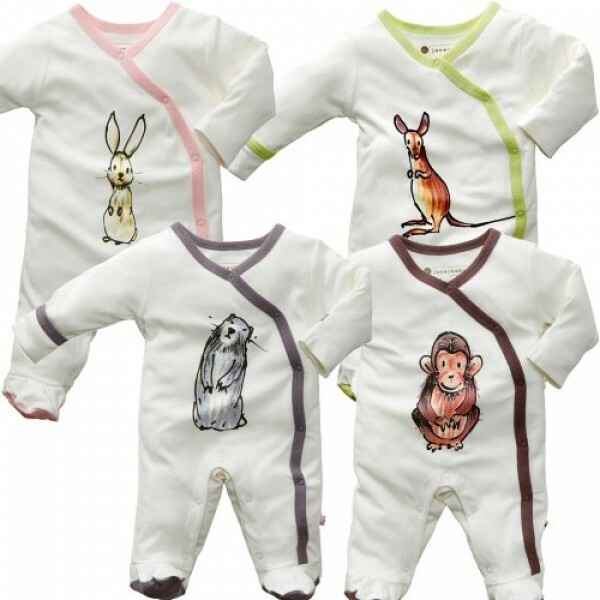 Available in infant's sizes 0 - 3 months to 6 - 12 months. A portion of proceeds go to support the programs of the Jane Goodall Institute.